AS ALL back channel efforts are continuing to release 30-year-old IAS officer R Vineel Krishna, abducted on Wednesday by a group of 50 Maoists in Orissa, Union home minister called up Orissa chief minister Naveen Patnaik to ensure the safety of the abducted IAS officer. 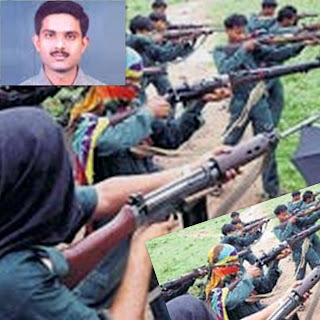 RV Krishna, a 2005 batch IAS officer and district collector of Malkangiri was abducted by Naxals who now sent out a set of demands for the release of the officer. This is the first instance of abduction of an IAS officer by Naxalites in Orissa. Originally haling from Andhra Pradesh, Krishna was a civil engineer from Chennai before entering into IAS. He had earlier served as a director of District Rural Development Agency in Orissa before taking up the job of a district collector of Malkangiri district in January 2010. He was also the sub-collector of Champua and Baliguda respectively. Union home secretary GK Pillai said that it might take some time to get the abducted officer out of Maoists, but he was confident that the officer would be released. Meanwhile, the state government contacted Naxal sympathiser Varavara Rao and social activist Swami Agnivesh to get the collector freed. A young IAS officer and Rajnandgaon collector KS Pardesi turned a programme host of a function organized by Lanco Infratech Limited a few days ago. Though the company hired a well-known anchor for the job, chief minister Raman Singh called Pardesi and whispered a few words in his ear, according to media reports. Understandably at the instruction of the CM, the IAS officer took control of the show, but the question remains: Why did the CM want the officer to anchor the show? Getting him released should be the priority of all concerned.